Anyone can activate the shutter on a camera, but dialing that device to just the right settings for a picture-perfect shot takes skill. 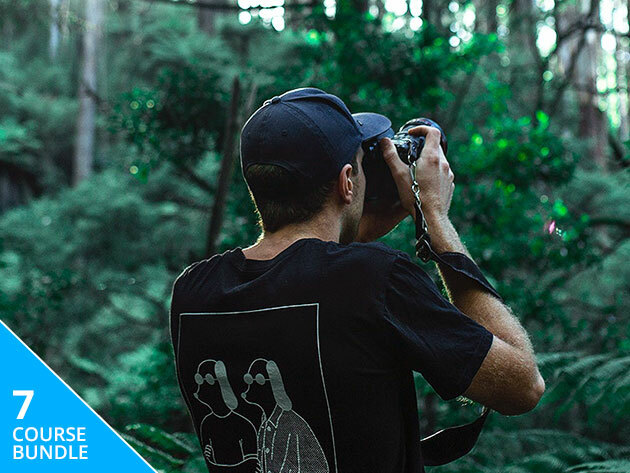 Whether you want to take better photos for the 'gram or earn some extra money with that fancy DSLR you just picked up, the Pay What You Want: Professional Photography Bundle can show you how for a price that you get to choose. Here's how the deal works: Pay whatever you want, and you'll unlock one of the collection's courses. Beat the average price paid, and you'll take all seven home instantly. Featuring more than 30 hours of training, this collection takes you from the basics of camera operation to the more nuanced elements of professional photography. You'll start by getting to know your camera and how to take better shots without relying on the automatic setting. Then, you'll move on to mastering exposure, posing models for better shots, and even wedding photography as you make your way through the courses. You can start taking better photos today with the Pay What You Want: Professional Photography Bundle, available for a price you pick.